Travel Advisory: The railway police has banned the trek to Dudhsagar falls as there have been a few accidents due to people's negligence. I would advise you to visit the falls in the months of Oct to May. You may contact me for more info. When you say Goa...the first thing that comes to mind is beaches. But Goa is much more than that. 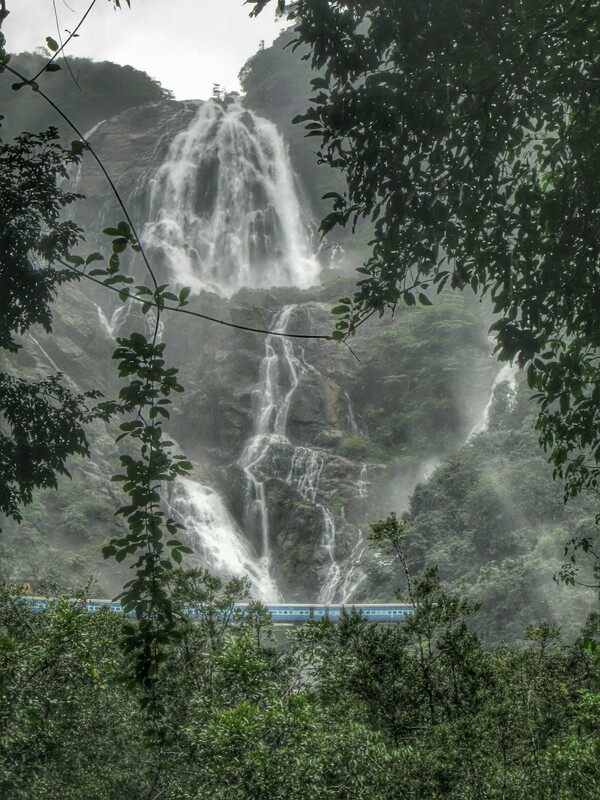 This year I went to Goa only to see the Dudhsagar Waterfalls. I had seen the falls in the movies and often wondered how they would look like in reality. I read a lot of blogs about the trek to the falls and also consulted a few fellow bloggers on the best routes to be considered for this trek. The falls are best experienced during the rains. However it can get inaccessible due to flooding and heavy rainfall. My adventurous friends and me trekked around 6 hours both ways to see the spectacular falls and it was worth the efforts. 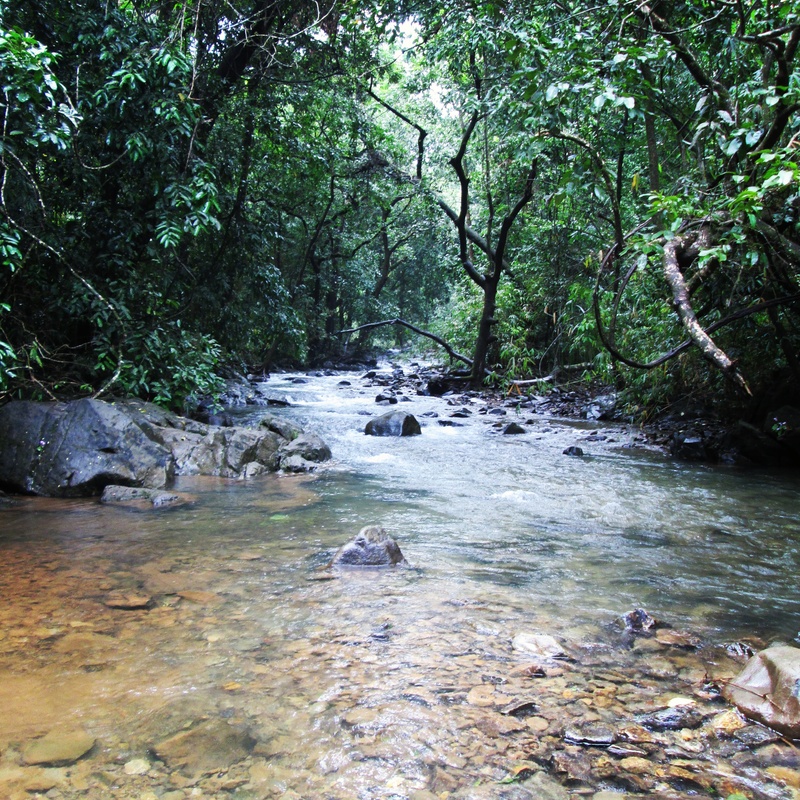 This route has not been explored by many trekkers, so we were the fortunate few who did this. After walking the tracks from Kulem we stopped at Sonalium station. 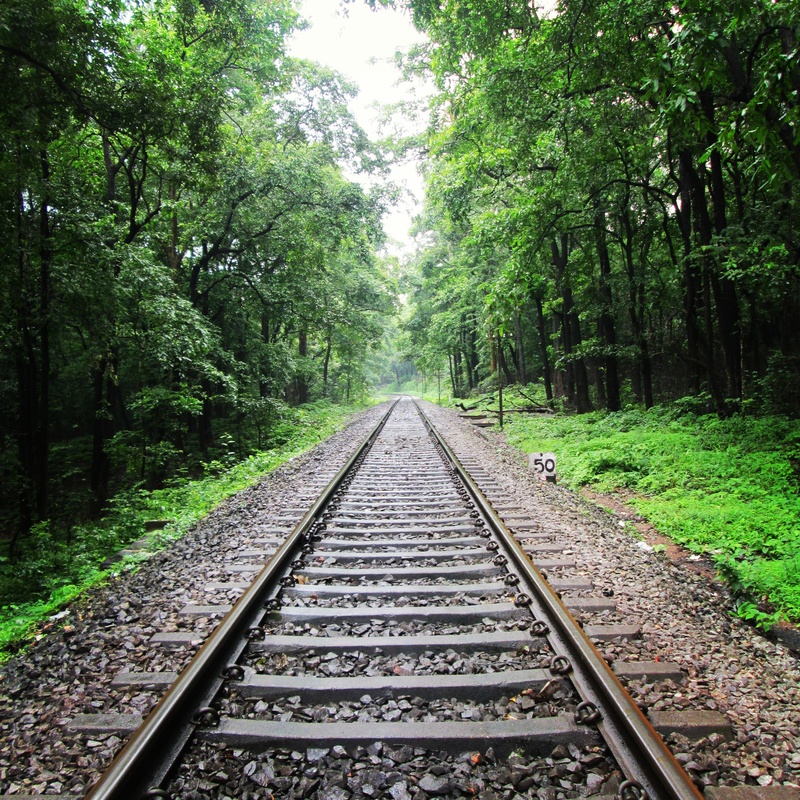 There is a village down the tracks near station where we hired a guide to take us through the jungle part of the trek. 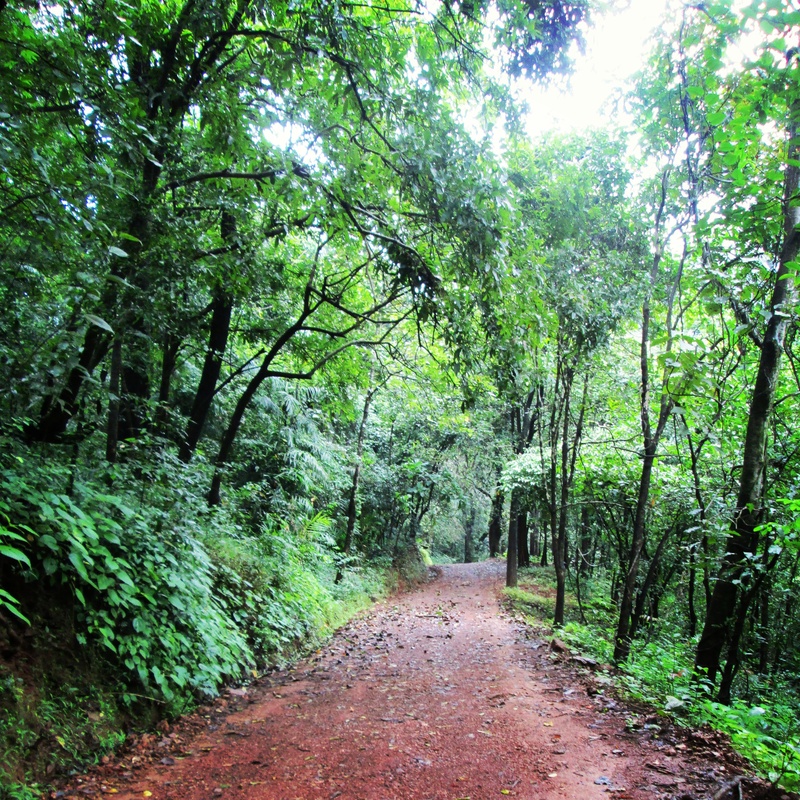 There is a jeep track in the forest which operates after the rains. 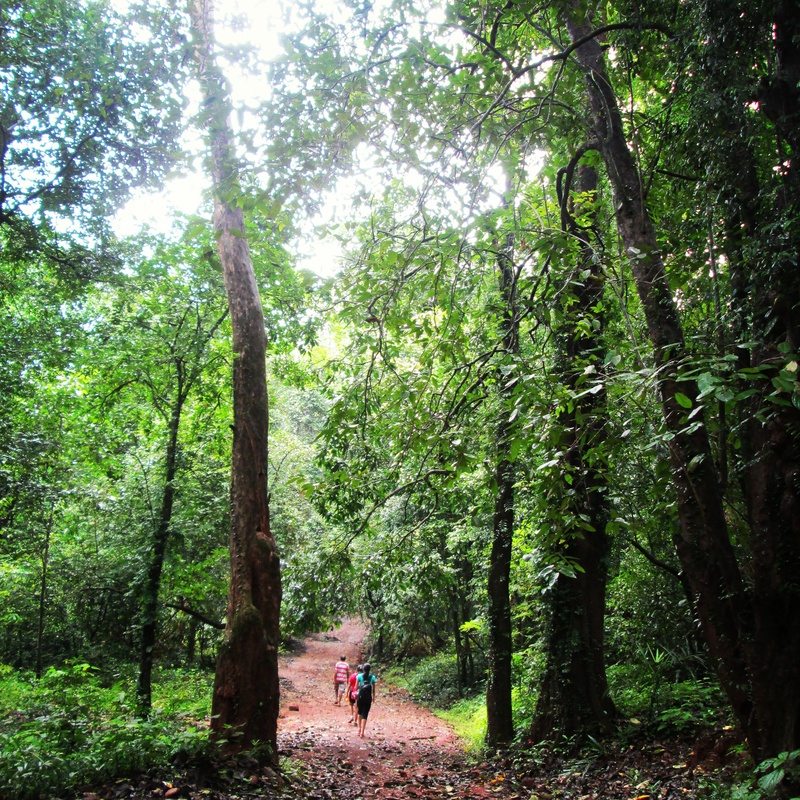 We followed the tracks and walked through dense forest. The walk was easy, but long. 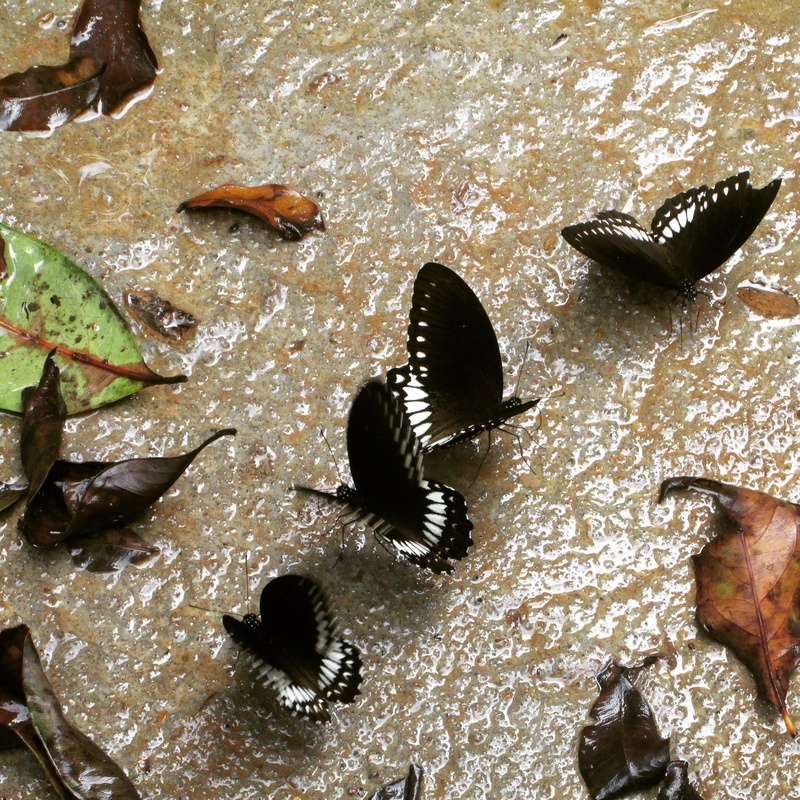 The forest is dense and filled with sounds of insects and animals so it can get scary. We also encountered leeches on the way, but we had come prepared and got the leeches off with salt. We could hear the thundering sounds of water falling down as we were coming closer and finally the falls gradually came into view. With whoops of victory and accomplishment we went running towards the view point. Since we were viewing it from the forest, the falls were a little distant but the sight and sound did not lessen its intensity. 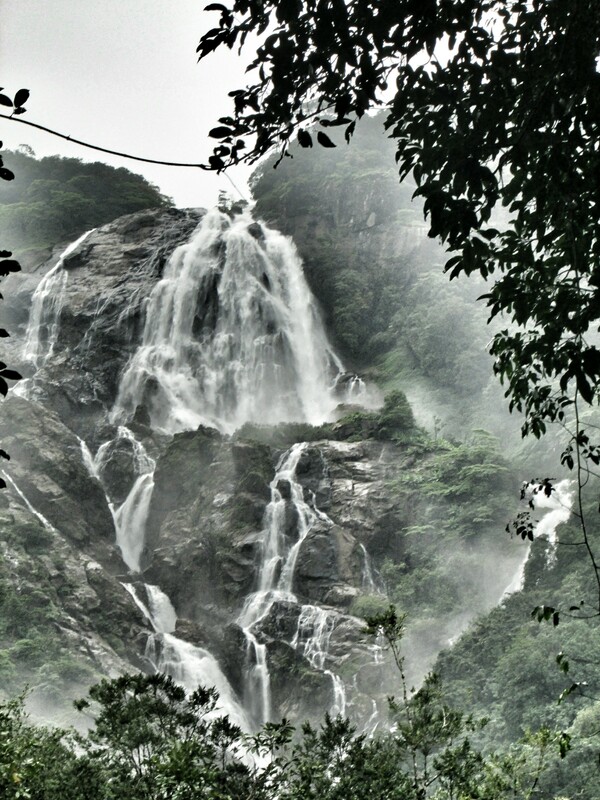 The falls looked exactly like its name - Dudhsagar. Gushing milk falling down, thundering on the rocks. After a lot of selfies and clicks we started our walk back. Once again partly jungle and then onto the railway tracks onwards to Kulem. 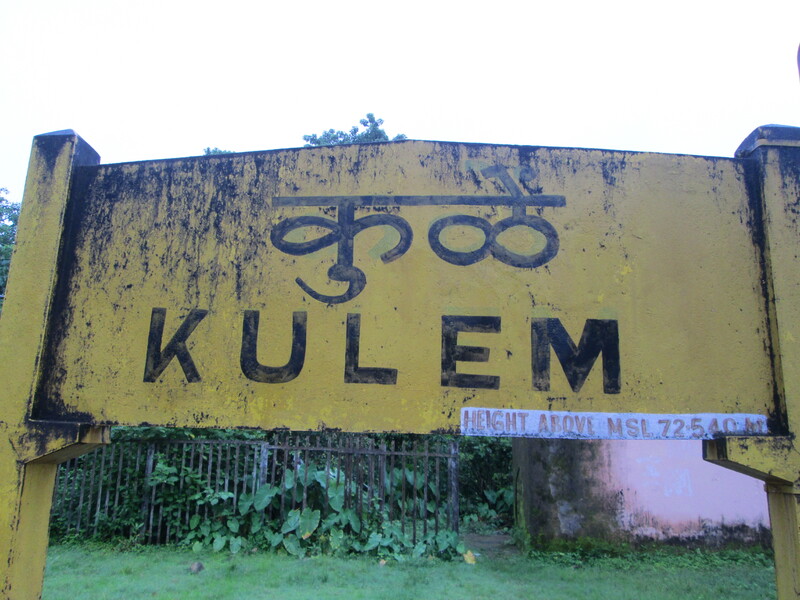 We were exhausted and famished by the time we could see the platform of Kulem station, but we were happy since we completed the trek. 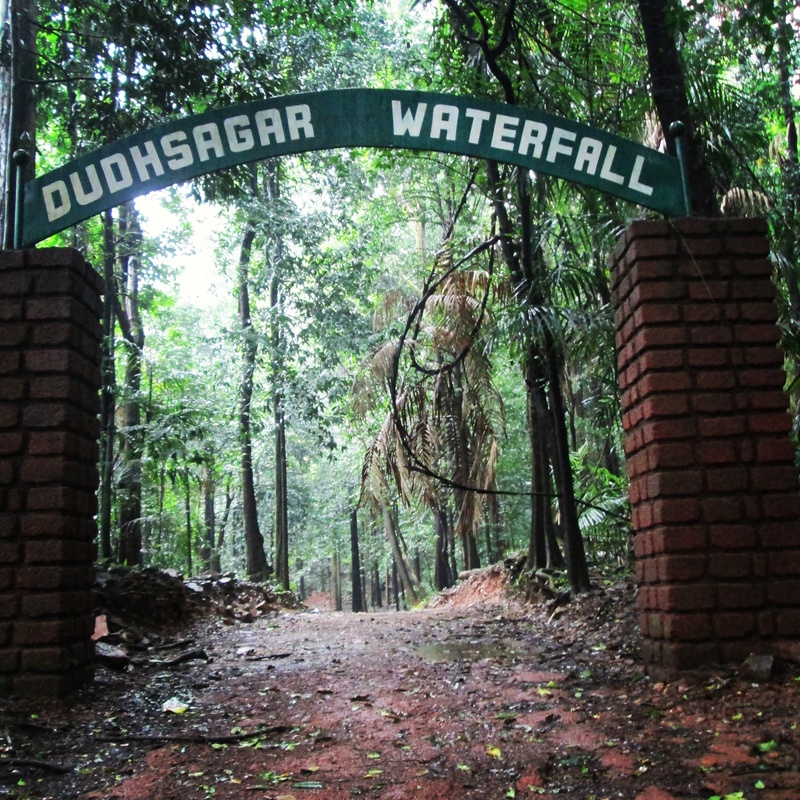 Dudhsagar is beautiful and so i guess nature made it inaccessible so that not everyone can view it. 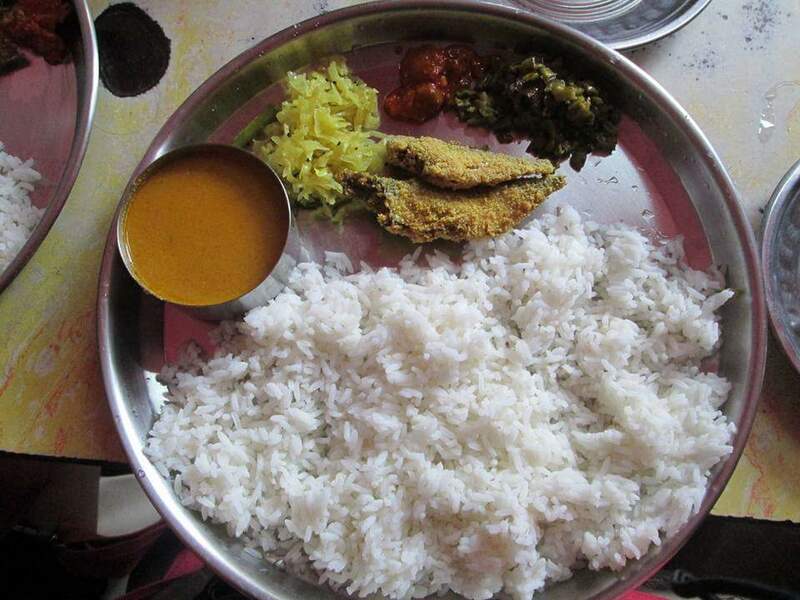 We finished our trek with some nice homely goan lunch near Kulem station. Hope you do the same!! This trek reminded me of Johnnie Walker who rightly says "Keep on walking"